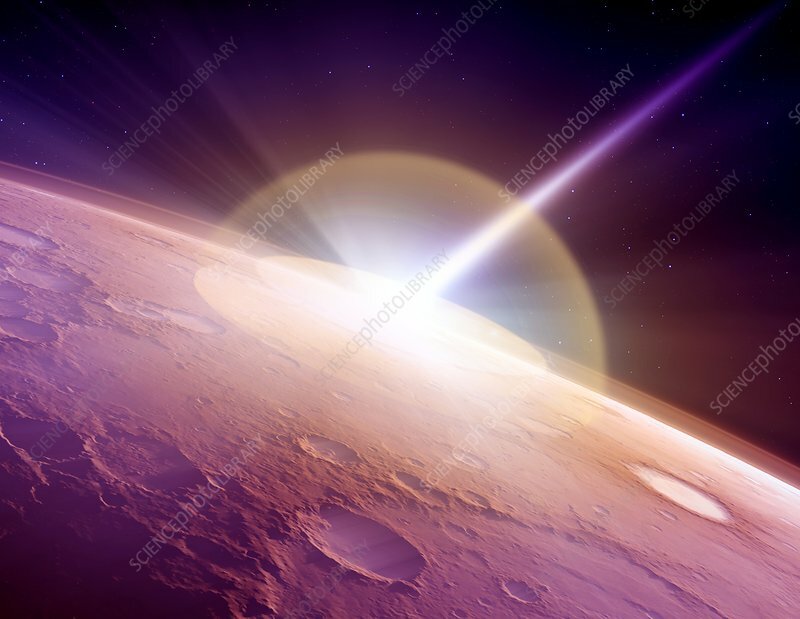 Comet heading towards Mars, computer artwork. It is thought that comet 2013-A1, or Siding Spring, will pass 37,000 kilometres from Mars in October 2014, and there is a remote chance it will impact the surface. If this were to happen, Mars' climate and atmosphere would change for several hundred years.